Before photography was elevated to an art form, it was a craft. Somewhere between journalism and portraiture, technically-skilled people with a creative streak caught moments, and then made prints. Alfred Stieglitz wanted to make endless copies and sell them as cheaply as newspapers, and Edward Weston or Ansel Adams never numbered or limited their work to editions. Photographers made a living selling their prints, not creating images. The prints varied in size and in quality. Sometimes different papers were used, or new negatives, or different chemical processes. Often, prints made by an assistant were technically superior, but didn’t have the provenance. In the 1970s, when photography was discovered as an art form, the issues around existing prints had to be addressed. The first wave of great photographers were no longer working or had passed away, so the existing prints defined the final number of pieces in circulation. The edition became finite and limited by circumstance. Fine art photographers began working around the concept of editions, sometimes bound to the arrangement within which they showed their work. Bernd and Hilla Becher in Düsseldorf did limited editions, and showed their relatively small prints in arranged grids of 3×3 or 4×4 images. Fine art photography really hit a stride with the acceptance of color photography. Color work by William Eggleston, and especially the large-format work by Stephen Shore or light-boxes by Jeff Wall, really established photography as a true artistic language, rather than a creative accident. At the time artists really started using color photography as a medium, print-making was still an inherent part of the creative process. The artist worked in a darkroom, hand-making large prints. Replication in the 1970s felt futuristic, and was a comment on society. Andy Warhol worked with photography and with silk-screens, in which he made unique pieces based on stencils that insisted on recognisable repetition. 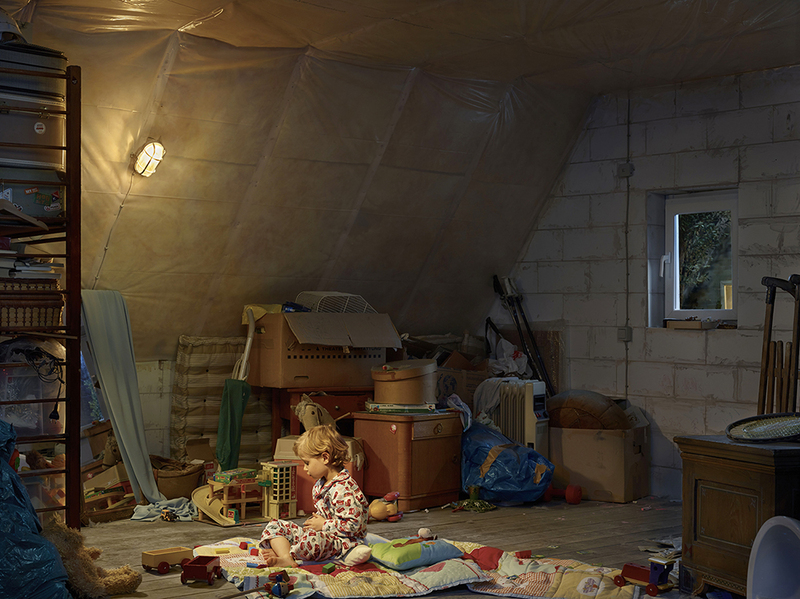 Jeff Wall’s light-boxes were a reference to ubiquitous advertisement. For fine art photographers, making multiple versions of the same image was an integral part of the art form, it wasn’t just a way to create indiscriminate iterations of the same piece so they could sell more of them. Their hands-on process was as much art as a sculptor casting a bust. They made the print that was ultimately sold and framed. The art world began expecting editions from photographic artists. There would be two or three different sizes, each with a certain number of available prints, plus some hold-backs that were considered Artist Proofs or Display Prints. But over time the idea of editions has lost its meaning. Most photographers now print digitally. Even those who shoot film will scan the negatives and then handle the image as a data file. Pretty much all artists at the top of the field use high-end fine-art reproduction houses like Grieger in Düsseldorf or Recom in Berlin. In a time when a digital file can be printed on profiled paper from a calibrated printer, and endless replication is commonplace, the concept of making editions is entirely removed from the art. Editions are being sold by photographers because that has become the business model. It has no merit, and exists largely due to historical development. There are photographers who will continue to make editions. No two darkroom prints are ever identical. There’s just too many variables, and even the most exacting lab-rat can never replicate a final print. Those artists making their own prints in alternative developing processes define themselves through their hands-on approach, because they’re even more technical and ultimately difficult to execute. Others will issue editions because their price point has arrived at a place that demands editions to justify the cost incurred making the image initially. If you’re famous for pictures of elephants like Nick Brandt, or vanishing tribes like Jimmy Nelson, then the cost of global travel can’t be recovered by selling singular prints. After all, that kind of work is truly photography and not necessarily about fine art. But it is the artists who stage their images that still have a certain creative defensibility around the idea of editions. An artist such as Thomas Demand makes intricate dioramas, but that’s not the final artistic work – the photographed image is. He’s not selling a little scale model made out of cardboard, otherwise he could simply present his work as sculpture. He sells prints, and they’re remarkable. Thomas Friedrich Schäfer, a young artist who works with me in my studio, makes incredibly detailed sets that take weeks to build, but only exist in their final form for a day. When he stages an image within such a setting it makes sense to create limited editions of the work. It is a comment on the ephemeral nature of memory. Even though I stage my images, the sets I use are not as intricate in my recent work. My pictures happen within the dynamic exchange between photographer and model. I have chosen to create only unique pieces, and I go beyond a simple print. As I’ve explained in my videos, I use matte acrylic diasec and crop out certain key elements of an image which are then framed in steel, and printed on a waxed paper. That isn’t a viable method for every artist working in the realm of photography. Nonetheless I believe the age of photographic editions is coming to an end. I would encourage artists to forego editions unless there is a compelling creative reason to make them. There is a real sense of relief in selling work and knowing that it’s gone. After all, a fine art photographer may use different tools, but it’s no different than making a painting. A painter creates individual pieces, and once they’re sold he may never see them again. Why should we photographers be any different? 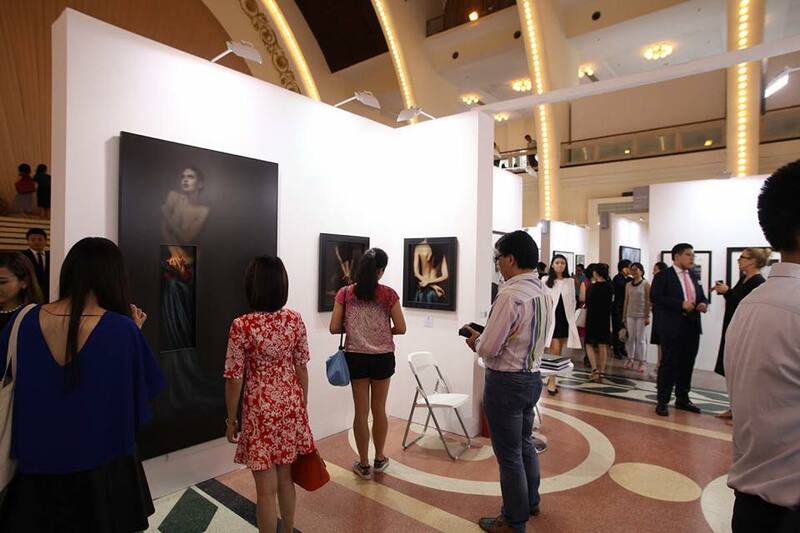 The gallery Camera Work invited me to join them in China at the Shanghai Photo Art Fair. My work was incredibly well-received there. We brought three pieces, all of which sold during private pre-view on the first day, and we sold some more pieces sight-unseen by buyers. They picked them out of an A4-sized booklet that we had brought. One extremely wealthy buyer fell in a love with a piece that was at the fair. He wanted it, but it had already been sold to a collector whom I respect. At first the man from Western China asked me (through an intimidated translator) to make another one for him, at which point I had to explain that I don’t do that – my pieces are unique. Well, he wanted me to make another for him anyway, but I said that was not going to happen. Then he wanted to know who the collector was, and what he had paid so he could make an offer to him, but I was not about to reveal any of that information. The last thing I wanted was the man with the private museum being hounded by this rather aggressive would-be buyer. Finally, he sulked, and told me that I would not get far in China with this kind of inflexible attitude. It’s nice to know my work is coveted. I think it is notable though that a country which is known for its seemingly endless replication is a strong market for my series of unique photographic images. I remain committed to making one-off pieces, and will continue to encourage fellow artists to make deliberate choices when it comes to editions.